So - did you happen to get the latest version of Microsoft Office yet? Office 2013 is a very nice suite of tools and each new version seems to allow for some pretty neat things. There are some times, though, when the pretty neat things are not so easy to find. 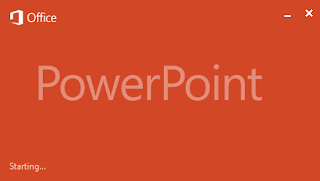 Well - here is what I think is a pretty neat thing in PowerPoint 2013 that many of you might find useful. It is real easy to change the aspect ratio of your slides! You are able to choose a standard 4:3 aspect ratio, a widescreen 16:9 format, or custom make your own size based on the need you have. The short video below will show you how to find the place to change it. Hope this was helpful. Have an awesome day!